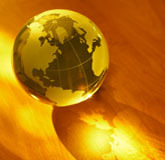 We are so excited to let you know that we are the new publishers for a series of books entitled A Child's Geography. There are currently two books in the series. Like you, we read. Lots. Old books are like good friends. Seton, and Burgess, and Holling….and Hillyer. Lots of V.M. Hillyer. I would gather the children and we would trek out into the world with Hillyer through his book, “A Child's Geography of the World” and go exploring God's world from the couch. We loved how Hillyer spoke directly to us, how we developed a relationship with the author himself, how he romped through the world, teaching us along the way. But we always had questions. Hillyer's geography was old—maybe too old? The world had changed. And we wanted to know what the world was like now. And we wanted to see God's Hand in it all — for the Earth and everything in it is His. Thus this project, a "living" geography primer for grammar age students, (gr.1/2--gr.6/7). “A Child's Geography: Exploring His Earth” is about getting to know what's under our feet, over our heads and in the world around us—the atmosphere, the hydrosphere, the lithosphere—and then how to get around this world—maps, latitude and longitude. Do you know how many gallons of water float in a cloud over our head—how far it is to the center of the Earth—what causes magnificent auroras, God's love lights—how God used the Flood to puzzle our planet into different shifting plates? Well, hop on board to experience Adventures for the Inquisitive Child—and every excursion glorifies our breathtaking Creator! Warning: This ebook is HUGE - 243 pages and 36 MB. If you are on dial-up, you may have some trouble downloading this file. Of course, we will help you in every way possible to get this ebook onto your computer and into your hands, but we just wanted to give you the heads-up! Buy both books (A Child's Geography: Explore His Earth and A Child's Geography: Explore the Holy Land) and receive even greater savings. Already have the original print book (which did not include a CD-ROM)? Purchase this ebook that contains just the contents on the CD-ROM. This does include the copywork passages that are already in your 1st edition book, but also contains copywork templates, postcard templates, quizzes, continent maps, time-zone map and tectonic plate puzzle. 75 pages total. I just received one of the neatest books in the mail that I’ve seen for awhile – A Child’s Geography by Ann Voskamp. Why am I so impressed with this book? Well, it’s because I have looked high and low for a geography book that I can actually work with, one that will fit our schooling schedule, and one that is interesting and fun. This book meets all of those criteria and more. In addition to all of that, the book also comes with a bonus CD-ROM that includes several extra pages. These include 27 pages of copywork activities that directly relate to the lessons in the book, 4 styles of copywork templates (for older and younger students, with or without sections for drawing), 5 different postcard templates (to be used with the Notebooking activities), 2 review tests, and more! 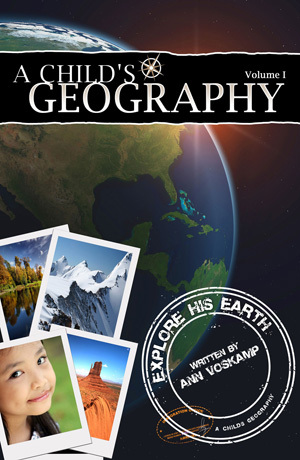 If you are in search of a geography book that is easy to work with, can be used with multiple age groups, and approaches geography from a Christian perspective, then I’m sure you’ll be impressed and pleased with A Child’s Geography.